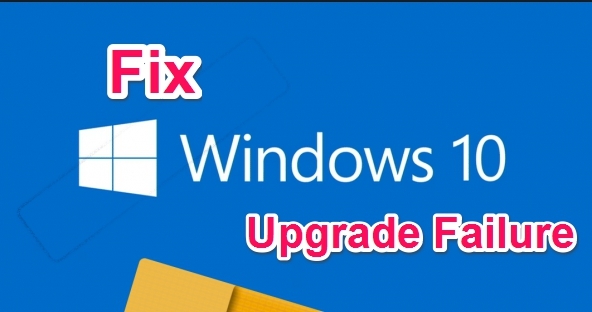 If you wish to upgrade your PC, currently running on Windows 7, Windows 8, Windows 8.1, Windows Vista, XP or some older Windows OS, to Microsoft’s best ever Windows OS, the Windows 10, but have been facing issues during the upgrade process, we have a guide here for you to fix Windows 10 upgrade failure problem on PC desktop/laptop. Windows 10 upgrades could be error prone, especially if you are upgrading on a machine with older hardware. Ever newer PCs may have Windows 10 upgrade issues, therefore, knowing how to fix Windows 10 upgrade process helps a lot. Not being aware of Windows 10 upgrade process could force to roll back to the older Windows OS, resulting in you missing out on amazing new Windows 10 features, including, of course, better security and privacy features. Those who have been facing issues while upgrading to Windows 10 from older Windows OS, here we have some tricks that will assist you in successfully upgrading to Windows 10. There could be several reasons at work that could be stopping Windows 10 from getting properly upgraded and installed on your PC. But the main problems as being reported by majority of the Windows users who want to upgrade to Windows 10 are antivirus tool installed on their PC is stopping the Windows 10 upgrade, sometimes a program or app could freeze the PC during the Windows 10 upgrade process, or some external device attacked to the PC could be causing affecting the Windows 10 upgrade. So, here we are going to discuss how you can address these main issues to fix the upgrade process and ensure seamless Windows 10 upgrade. This is the most basic thing that you should do every time you decide to upgrade Windows OS on your PC. Make sure only the most essential devices are connected to your PC, such as mouse and keyboard. Disconnect all other non-essential devices from your PC. Before starting the Windows 10 upgrade process, disconnect devices like card readers, printers and scanners, and similar other non-essential hardware components. Why do you need to remove non-essential hardware before Windows 10 upgrade? Its because during the upgrade process, Windows 10 installation setup searches for the compatible drivers for all attacked devices to your PC. If it fails to find compatible device driver, or doesn’t recognize the device as compatible with Windows 10 OS, the installation process will hang, which ends up in the entire Windows 10 upgrade getting stuck. Make sure to disable all non-essential app, programs, software, antivirus tools and startup programs before commencing Windows 10 upgrade process. Antivirus tools could be one of the main reason that Windows 10 upgrade gets stuck, therefore, disable or completely uninstall them before starting Windows 10 upgrade, you can re-install the disabled or removed programs after completing the Windows 10 upgrade on PC/laptop. Antivirus, or Anti-spyware programs that are incompatible with Windows 10, doesn’t recognize the new OS, and show error message during the upgrade process to prevent the OS from getting installed. 1 – Press Ctrl+Alt+Del on keyboard, and select the Task Manager option. Or, right-click on the taskbar and select the Task Manager. 2 – Click on the Startup tab. 3 – Here you will see a list of programs that are enabled in startup and PC loads them every time you start or restart PC. 4 – Next to each program, there is a startup impact value of that program. In case you are not sure which ones to disable, simply disable all programs with minimum startup value. 5 – To disable your chosen program from Startup, right-click on it and select Disable option. 4 – Disable / uncheck programs that you don’t want to run during the PC startup. After the above solution, we hope, your Windows 10 upgrade process will run without any issue. If you are still facing Windows 10 upgrade problems, share with us in the comments section below. Fix USB Device Not Recognized in Windows.